Good parties have cheese. 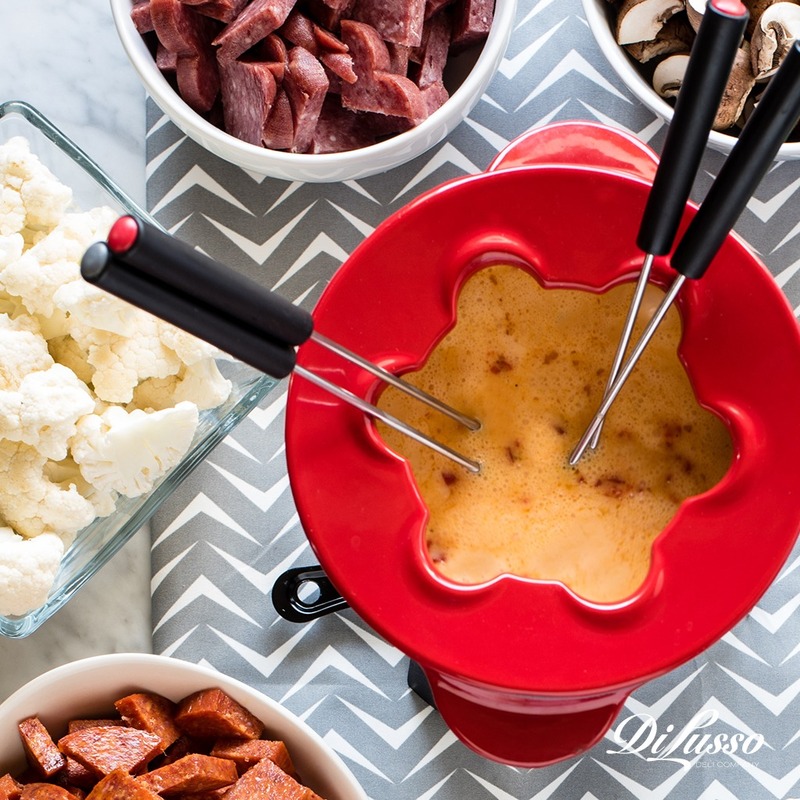 The best parties have warm, melty, cheese-pulls-for-days fondue. And wine. Always wine. 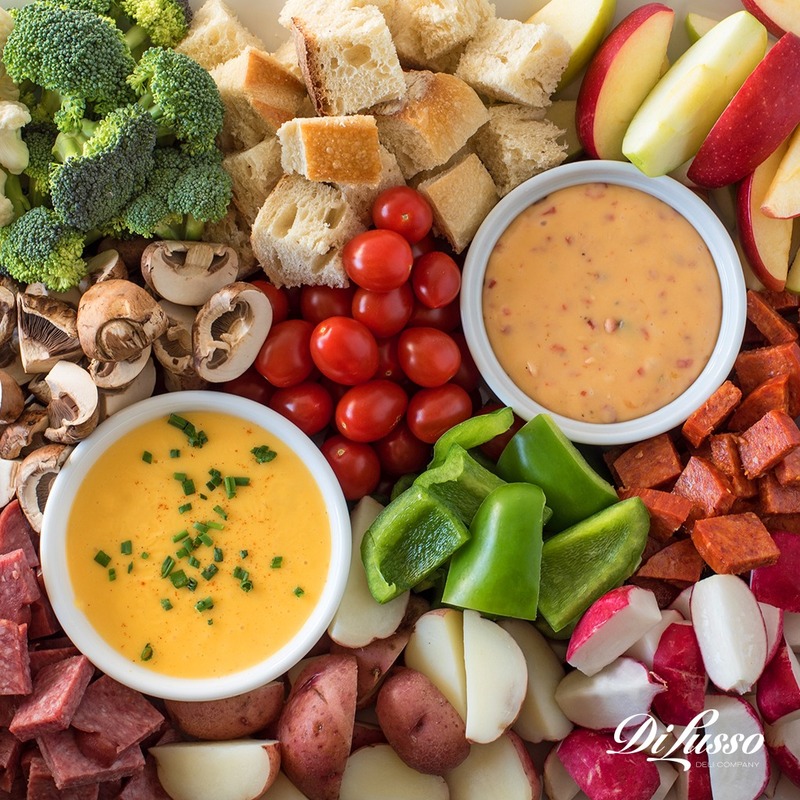 If you’re picking up what we’re putting down, it’s time to throw a fondue party with your fellow cheese lovers. Make your life a little easier by learning from our mistakes; use our fon-dos and don’ts as a guide. Do include multiple cheese fondue options. Even if you’re hosting a small gathering (4-6 people), it’s nice to have a few different options so guests can experiment to find combinations they love. Cook cheese slowly over low heat on the stovetop to prevent overcooking. Only put the cheese in a fondue pot after it has fully melted. Don’t skimp on the dippers. 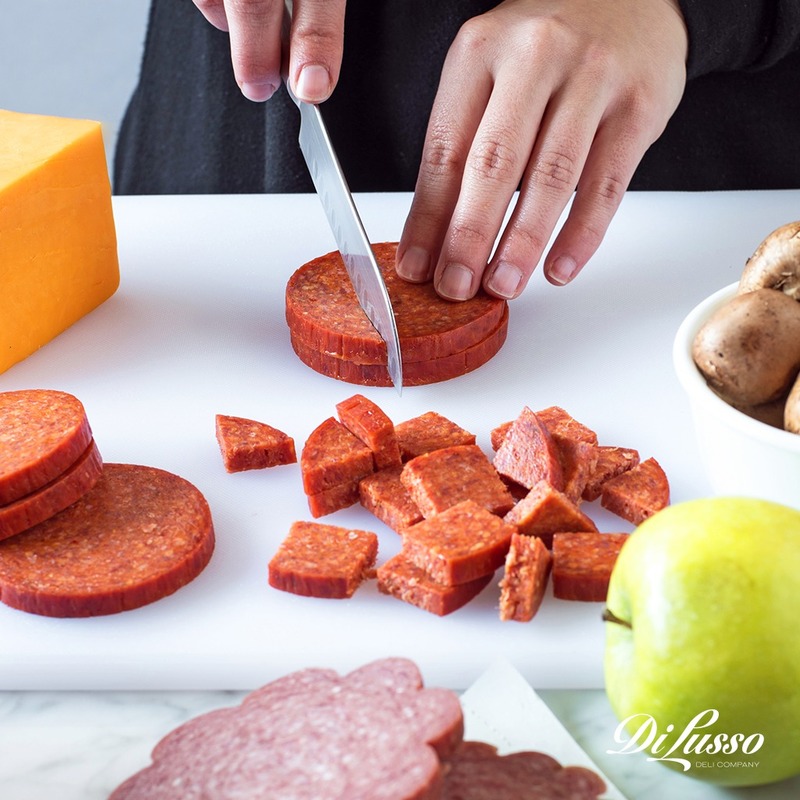 Cut up all your bread, raw veggies, potatoes, salami the night before so they’re ready for action the following day. Plan on cooking, steaming and blanching veggies and potatoes an hour or so before the party. 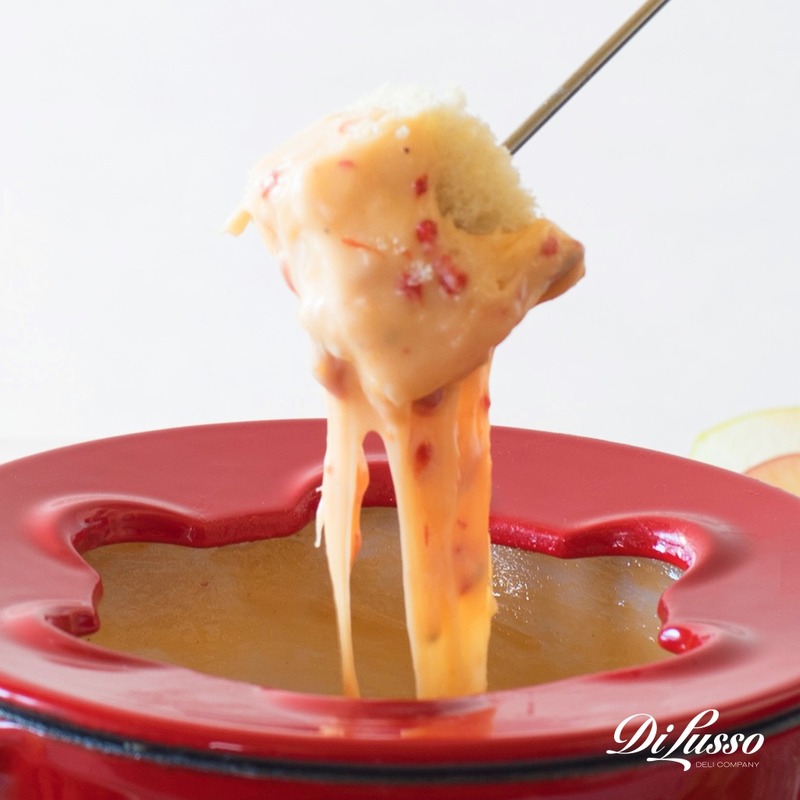 Cheese fondue won’t stick to damp veggies, so make sure they’re dry before serving. There’s nothing sadder than watching fondue slide right off your broccoli and back into the pot. Don’t forget dinner plates, forks and napkins. 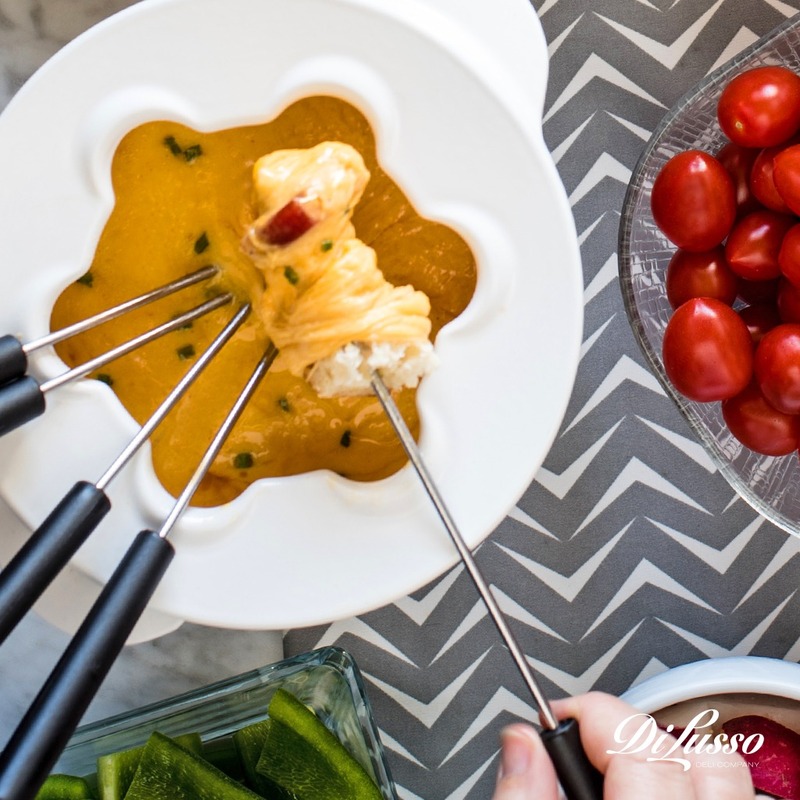 Guests will need a place to put their cheesy creations, a utensil to eat them with and a way to wipe away the cheese that’s dangling from their chin. Do provide plenty of fondue forks. Fondue forks tend to get misplaced. Guests will do things like accidentally move them from pot to pot, or use them as their personal dining fork. So have a handful of extras nearby for easy access. Don’t leave your table naked. Trails of cheese will magically appear on your table, serving platters, plates and everywhere in between. Protect your table and save yourself some clean up by using a tablecloth. After the party’s over, just shake it out and throw it in the wash.
Do plan seating around the fondue. 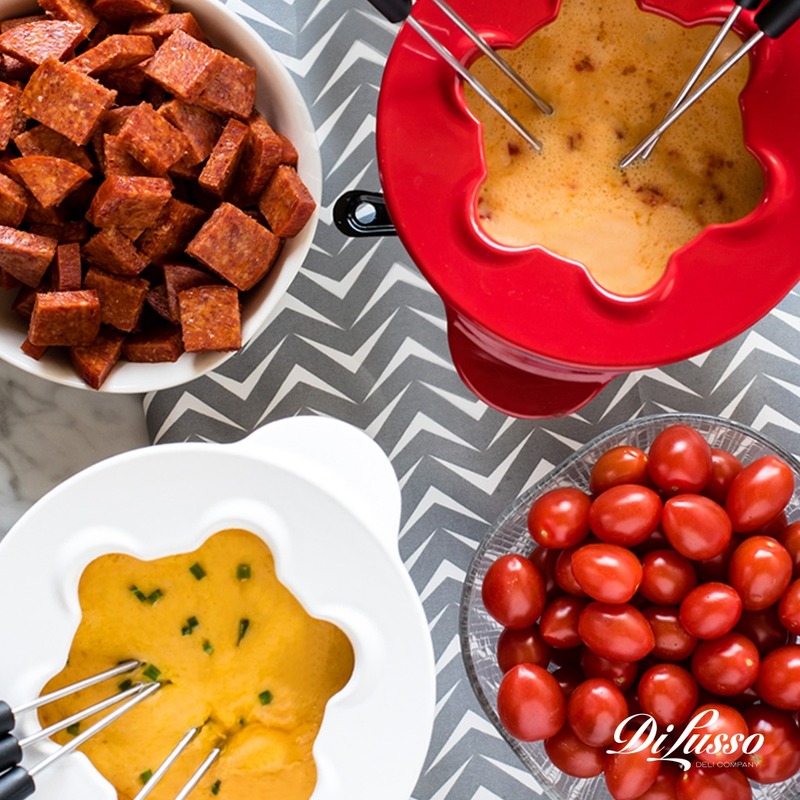 Guests will want to linger around the fondue pot (for good reason! ), so make sure you have seating that surrounds the table on which the fondue pot sits. That way guests can chat with each other without having to leave the golden pot of cheesy goodness. You can’t really call it a “party” without wine. Plus, it’s a fondue tradition that dates back to its invention in the 1700s. Wines with mild tannins that bring out the nuttiness of the cheese, like Riesling and Cinsault, pair well with fondue. Parties don’t have to be perfect to be fun. Do what you can, roll with the unexpected goofs and most importantly, enjoy the heck out of warm, melty cheese, family and friends.